Please familiarize yourself with the rules ahead of time and teams of 2 only, 21 years 7 older. For more information please call 732-539-5980. Come out on May 9, 2019 for a great fundraising event to benefit CAREing for Children. The Sixth Annual Marty Aronow Charity Golf Classic is a day of fun that benefits the less fortunate children and families in Ocean County during the Holiday Season. 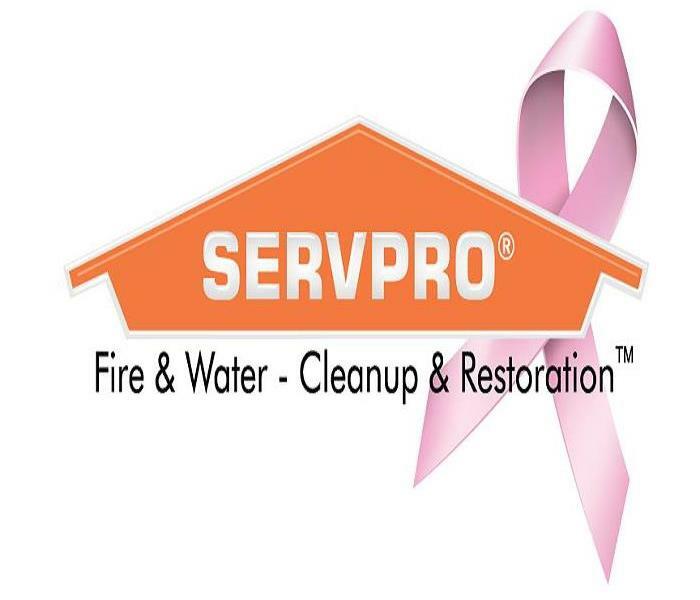 Please join SERVPRO of Point Pleasant and be a sponsor for the amazing event that benefits an amazing charity. 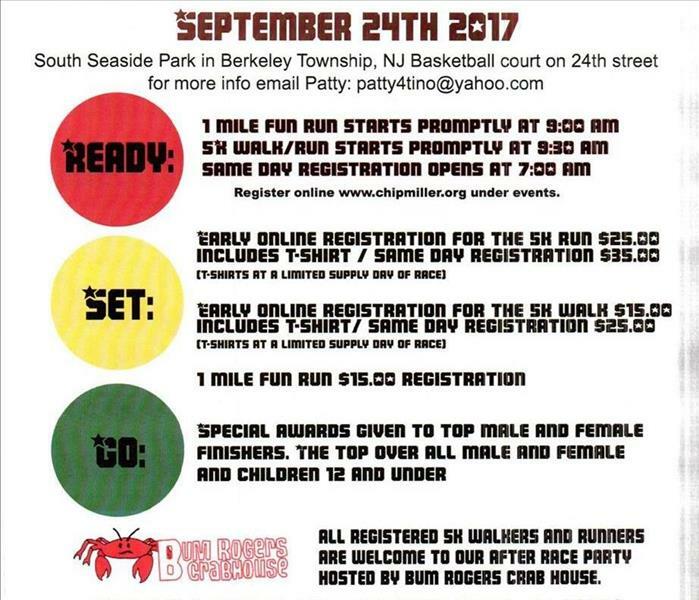 This event is run by the OCBA (Ocean County Business Association.) Please email the OCBA for more information. 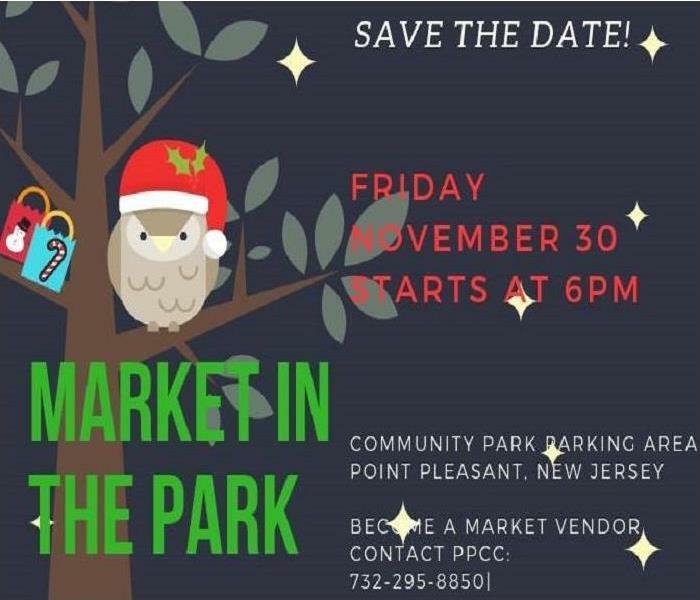 Save the Date for Market in the Park on Friday November 30, 2018, 6 PM until 9 PM at the Community Park, 2255 Bridge Ave, Point Pleasant, NJ 08742. Hosted by Borough of Point Pleasant and the Point Pleasant Chamber of Commerce. A winter village holiday market featuring food trucks and artisan boutiques offering delicious eats and exquisite gifts. 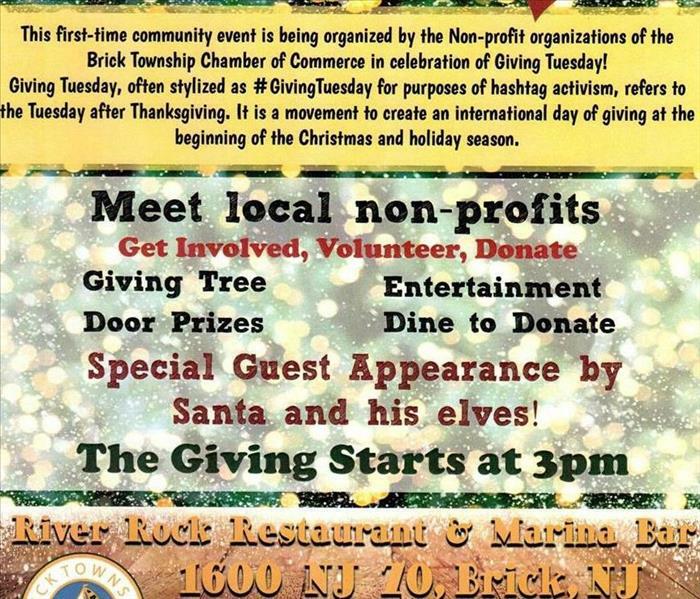 The Brick Chamber of Commerce GIVES BACK on November 27th with the official Giving Tuesday Event for Ocean County. On Tuesday, November 27th, 2018, Charities, Families, Businesses and Individuals will come together to transform the way people think about, talk about, and participate in the GIVING SEASON. 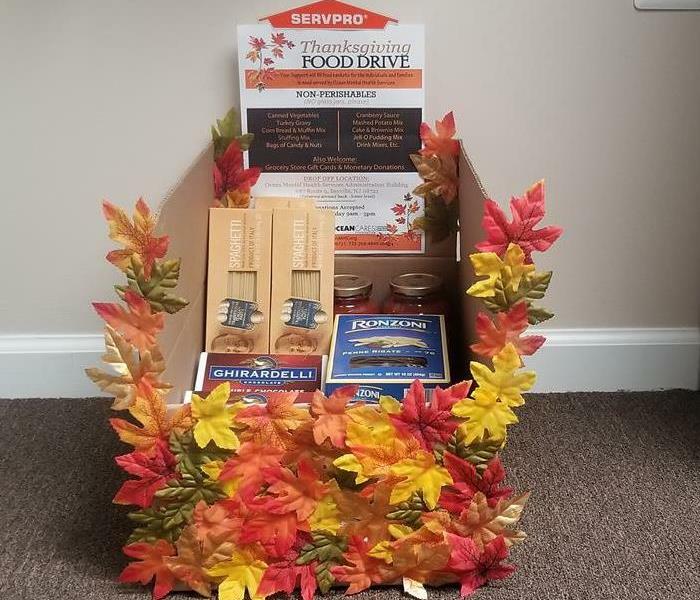 Please join SERVPRO of Point Pleasant in collecting food for families in need in Ocean County through the OceanCares Foundation. 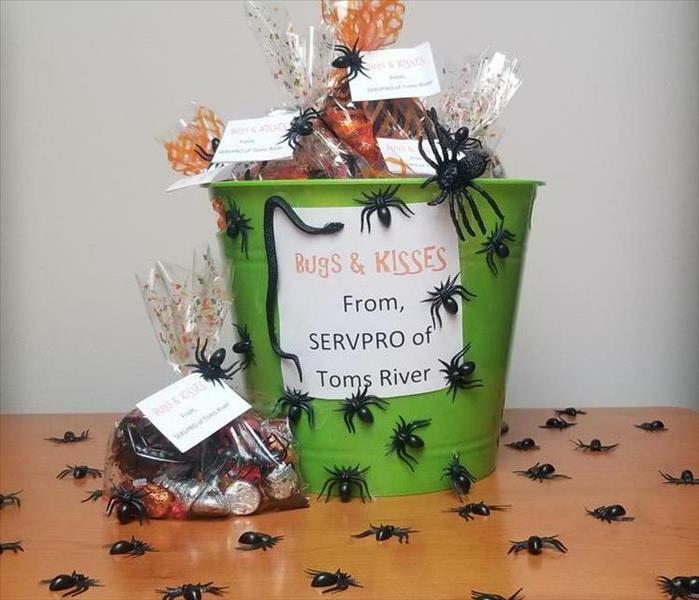 Wishing everyone a safe and creepy Halloween from your friends at SERVPRO of Point Pleasant. 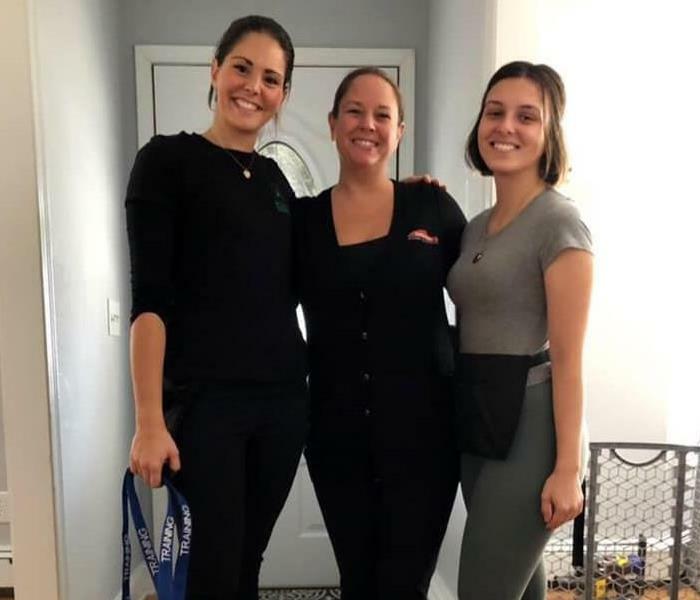 Please join OceanMHS and the OceanCares Foundation in making Thanksgiving special for the individuals and families in need that are served by OceanMHS. 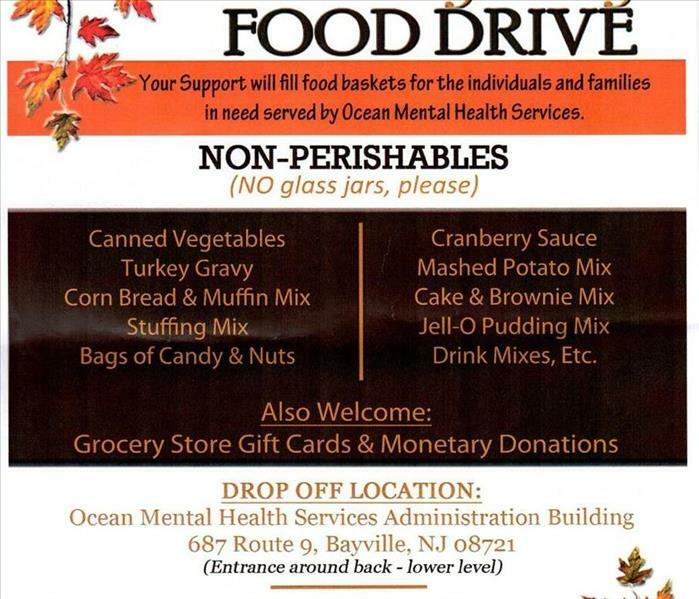 Your support will fill food baskets for the individuals and families in need served by Ocean Mental Health Services. We welcome all non-perishables (NO glass jars please) and they welcome grocery store gift cards and monetary donations. 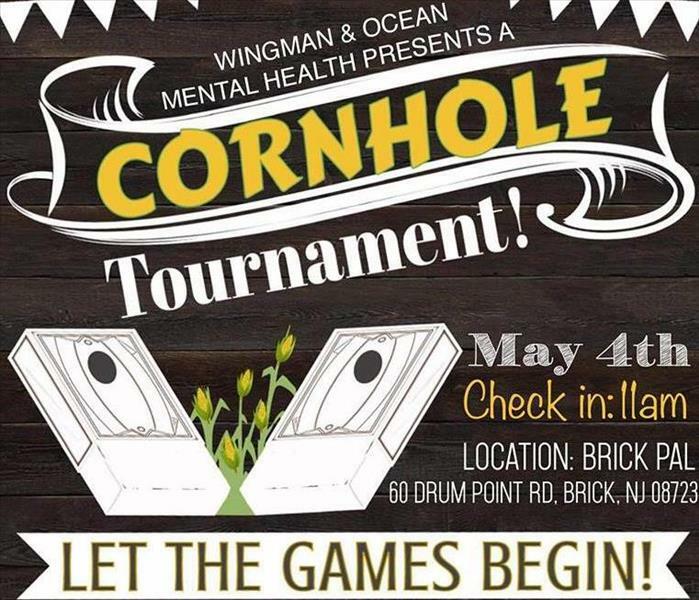 Drop off location is Ocean Mental Health Services Administration Building, 687, Route 9, Bayville, NJ 08721. The entrance is around back on the lower level and donations are accepted Monday-Friday 9am-5pm. For more information please call 732-269-4849 x640 or please see flyer for details and share the message to spread the word. 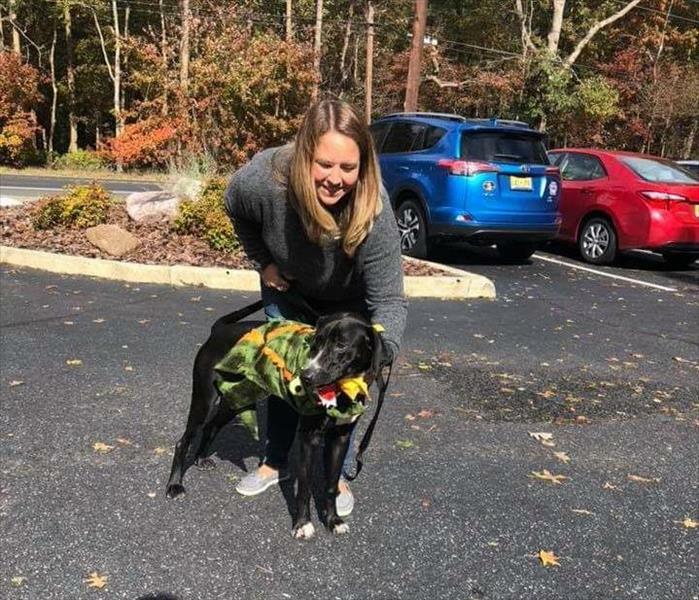 I got to spend a beautiful Sunday afternoon in October with this very special boy who is up for foster or adoption from Pitties and Pals Rescue. His name is Shadow and he is around 1 year old Hound/Great Dane mix. Shadow is dog and kid friendly! He's an energetic boy who still has lots of puppy energy but is eager to learn. He is housebroken and crate trained. For information on Shadow please visit his Shadow page. To foster or adopt Shadow or one of the other adorable pups up for adoption please visit pittiesandpals.com. They are always looking for more volunteers too. 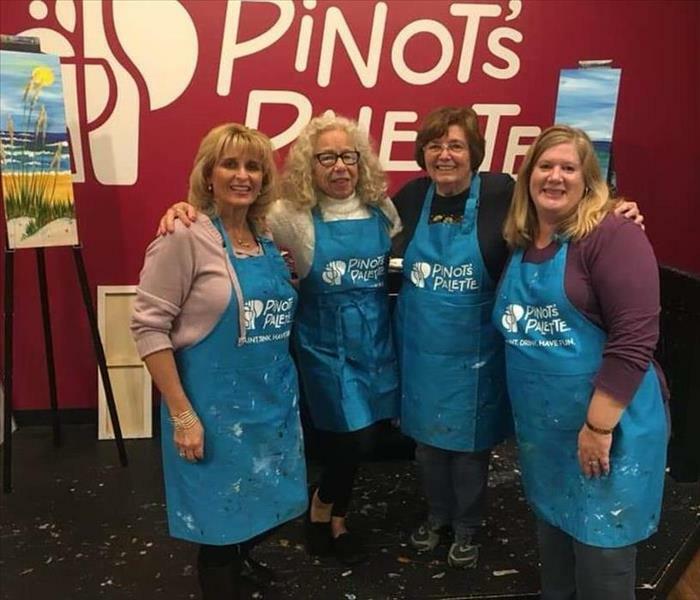 Painting It Forward Fundraiser had a wonderful turnout at Pinot's Palette in Brick, NJ on Thursday, October 25, 2018. Everyone had a fantastic time painting to support OceanCares to benefit Ocean Mental Health Services. SERVPRO of Point Pleasant right before the doors opened for Ocean County Business Association's Networking Extravaganza and Cocktail Party. The evening was a huge success and it was a pleasure to meet other local businesses. The Changing Lives Gala was a huge success this past Friday. Such a pleasure to spend the evening with Central Ocean Rotary of Toms River. About 1 in 8 women will develop invasive breast cancer over the course of their lifetime, making it the most common cancer in women in the United States. Breast Cancer Awareness Month aims to raise awareness about the disease and raise funds for research into its cause, prevention, diagnosis, treatment and cure. Please visit the Ocean County Health Department for more information in information in Ocean County. 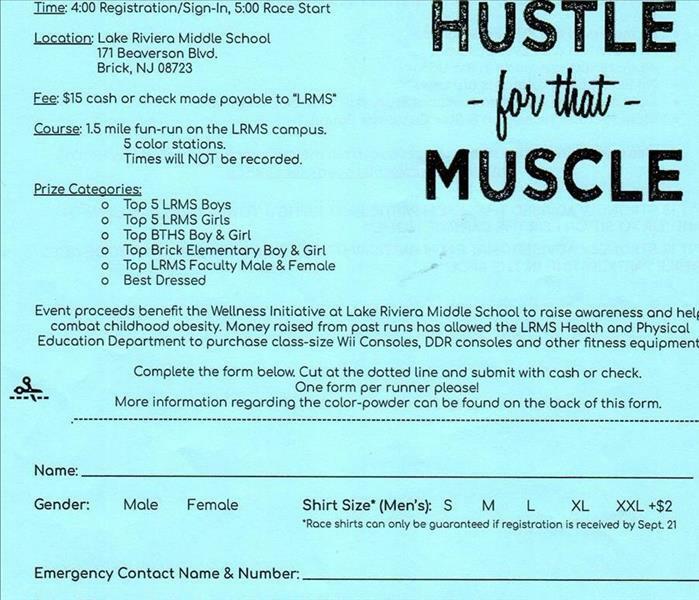 Sign up for the Harvey Lynch Color Run Hustle for that Muscle on Tuesday, October 9, 2018 at Lake Riviera Middle School, 171 Beaverson Blvd, Brick, NJ. Registration/sign-in is 4:00 PM and Race starts at 5:00 PM. Course is a 1.5 mile fun run on the LRMS campus with 5 color stations. Event proceeds benefit the Wellness Initiative at Lake Riviera Middle School to raise awareness and help combat childhood obesity. Money raised from past runshas allowed the LRMS Health & Physical Education Department to purchase class-size Wii Consoles, DDR consoles and other fitness equipment. 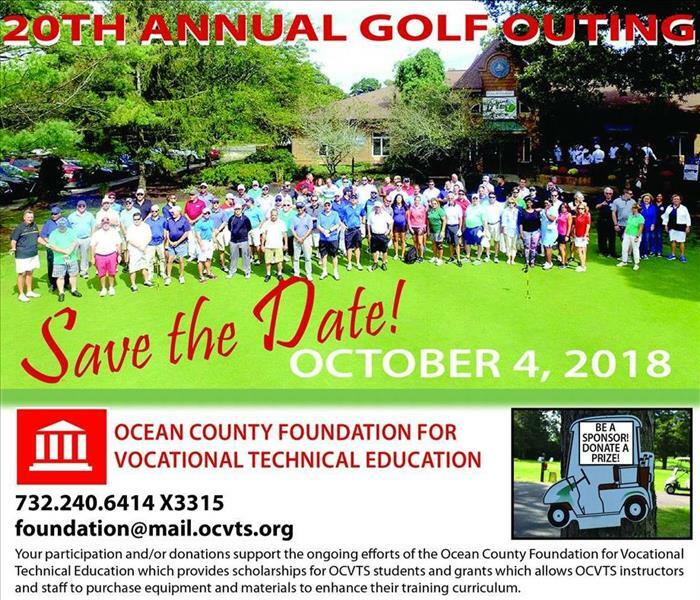 The Ocean County Foundation for Vocational Technical Education is hosting their annual Golf Outing On October 4th! Did you register yet! 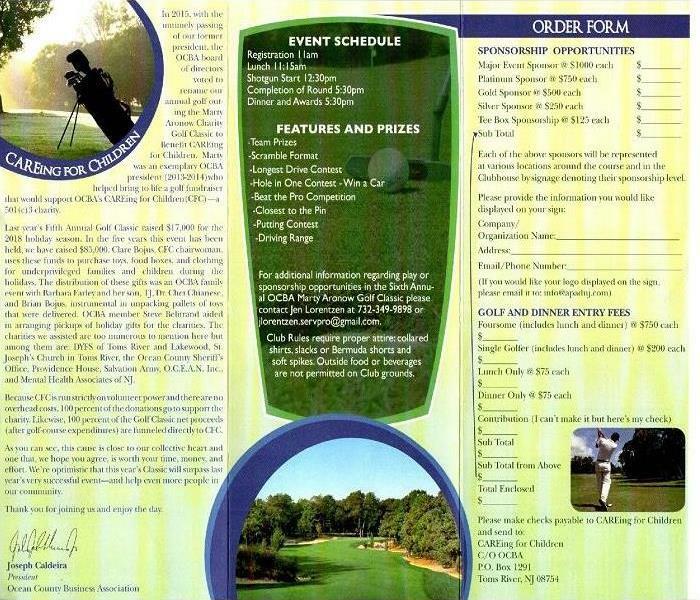 Great golf, great food, great prizes! Not a golfer? How about attending a cooking seminar instead! Proceeds benefit the students at OCVTS. 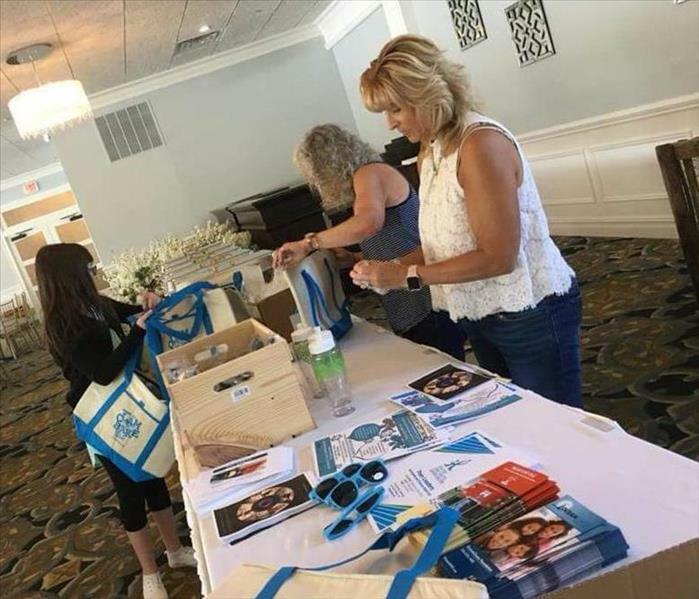 Kathy helping to set up for the OceanCares Foundation 3rd Annual ClamBake for a Cause 2018. This event supports the individuals, programs, and services of OceanMHS. 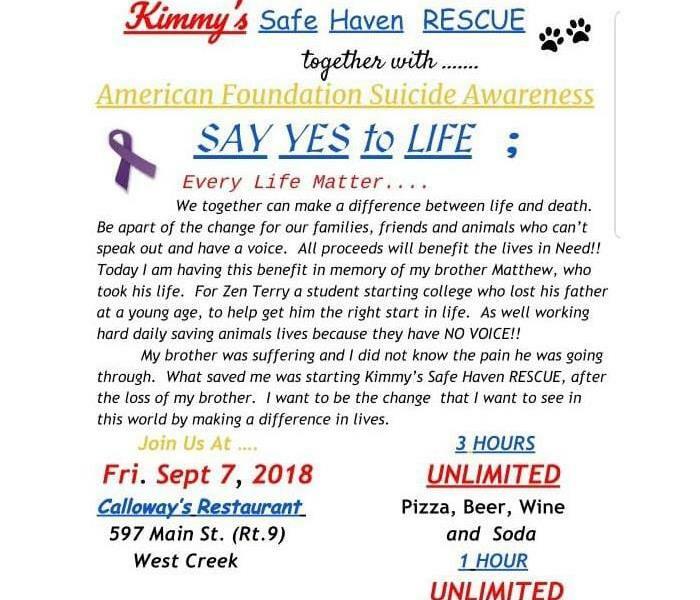 Friday Sept. 7, 2018 from 7 PM until 10 PM at Calloway's Restaurant, 597 Main St (Route 9), West Creek, NJ. Unlimited 3 hours of pizza, beer, wine and soda and 1 hour unlimited wings. Tickets are $20 per person. Call Kimmy's at 609-713-4278 to get your tickets today. 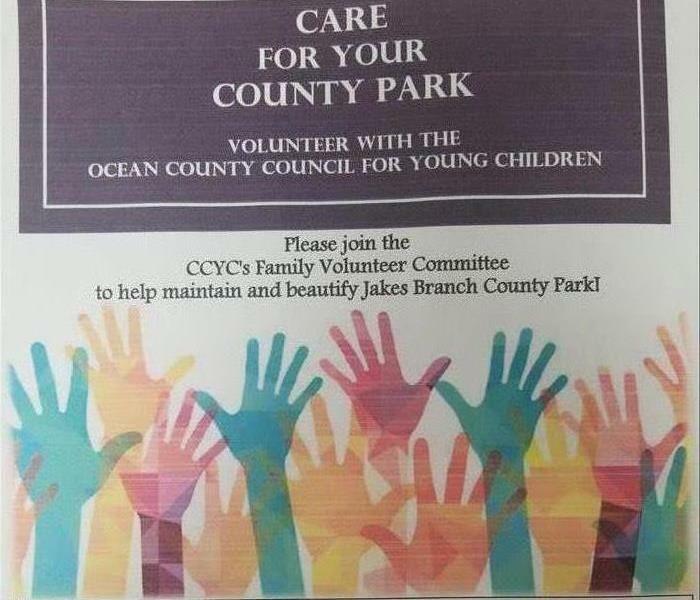 Join the CCYC's Family Volunteer Committee to help maintain and beautify Jakes Branch County Park on Tuesday, June 26th 2018 (rain date Wednesday, June 27th). Meet at the Nature Center at 10 AM. Volunteers of ages and abilities are welcome. Please bring a bagged lunch as we will enjoy conversation and relaxation after our volunteer effort. Children are welcome to play on the Nature Discovery Play Trail. Light refreshments and necessary supplies will be provided. Jakes Branch County Park, 1100 Double Trouble Rd, Beachwood, NJ. Email deidre.krok@vnahg.org or call 732-515-1906 for more details. 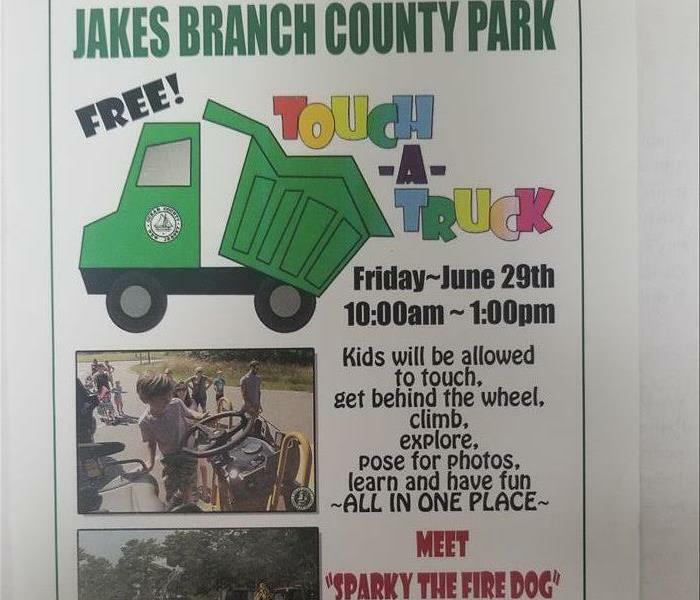 Come to the free Touch-A-Truck event at the Jakes Branch County Park on Friday June 29th 10 AM until 1 PM. Kids will allowed to touch, get behind, the wheel, climb, explore, pose for photos, learn and have fun all in place. Come meet "Sparky the Fire Dog" along with crafts & food. Bring a white T-shirt to paint as a souvenir. The Family Volunteer Committee is organized through the Ocean County Council for Young Children (CCYC). This committee is a group of parents and CCYC members who come together to develop and organize service events in our local community. Projects of the committee may include assembling care packages for our troops overseas, helping to create special meals during the holidays, or organizing toy and canned food drives. Service events may include beach and park cleanups, beach replenishments, seasonal park preparation or re-clamming the bay. During all of our volunteer events there will be opportunities for volunteers of all ages and abilities. 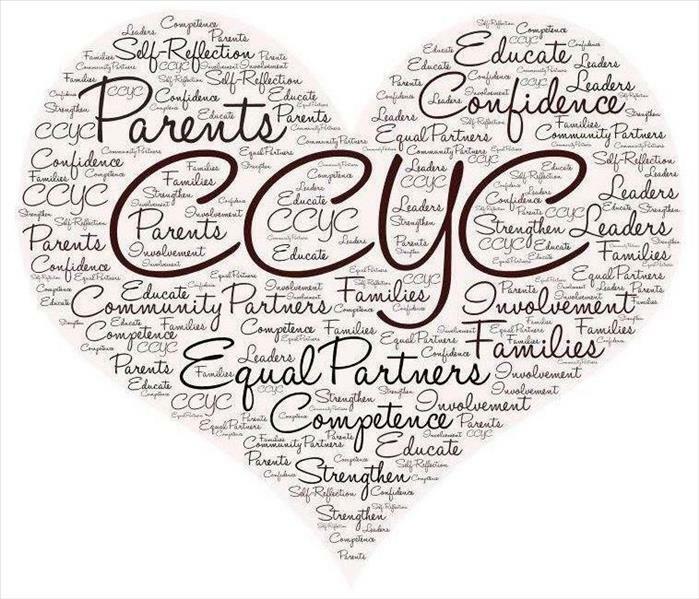 The CCYC is a place where parents and community are able to meet to make the community a healthier place to raise a child. Help us plan events that are important to you, your family, and your community. Contact us for more information or to volunteer deidre.krok@vnahg.org or call us at 732-515-1906. Help us give back and strengthen families by participating in our committee and planning projects which help our community thrive. 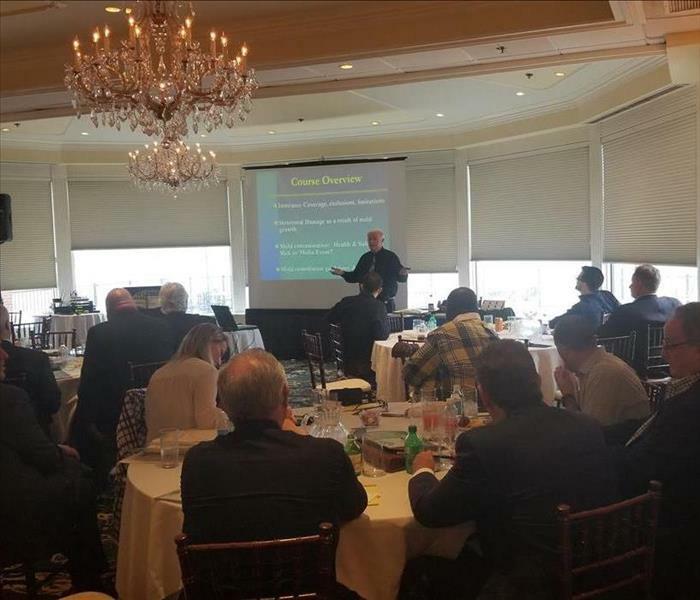 SERVPRO of Point Pleasant was happy to be invited to present a mold continuing education class at the Professional Public Adjusters Association of New Jersey on May 16, 2018 at the Molly Pitcher Inn in Redbank. Larry Hackney did an amazing job teaching the adjusters about the mold remediation process. We had a wonderful group of volunteers for 2018's annual golf outing for the Ocean County Business Association to benefit CAREing for Children. Everyone who volunteered worked extremely hard to make this year a huge success. A special thank you to Angie Lombardi Photography for all the great pictures. 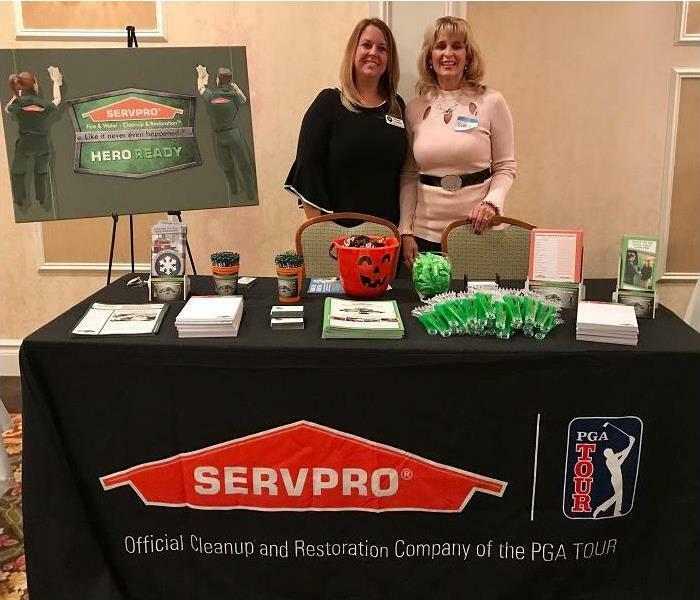 SERVPRO of Point Pleasant was happy to be a sponsor at the 17th Annual Ocean County Association of School Business Officials Scholarship Fundraiser. Not only did we get to be a sponsor at the event but we were there to hand out a few goody bags too. 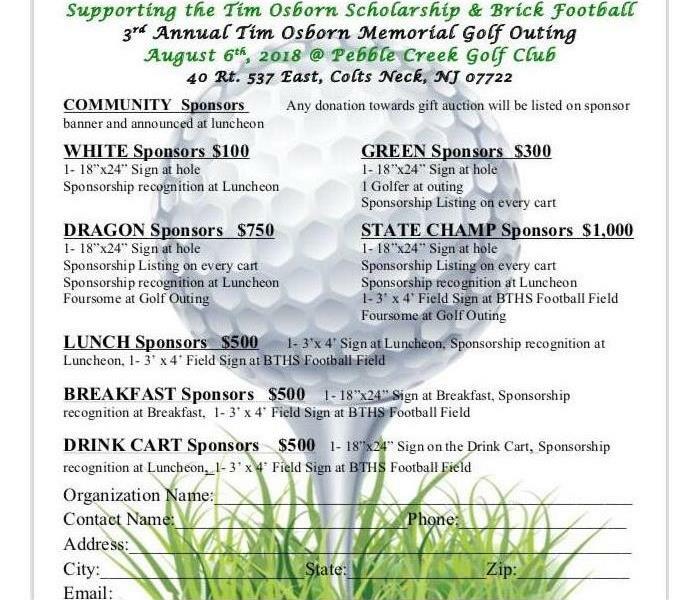 Please join SERVPRO of Point Pleasant in supporting the Tim Osborn Scholarship & Brick Football. They are accepting various sponsorship levels for their 3rd Annual Golf Outing on August 6, 2018 at Pebbles Creek Golf Club, 40 Rt. 537 East, Colts Neck, NJ. For more information on this event please send an lenzdanowicz@gmail.com. For more information on the Brick Township High School Football Parents Organization (BTHSFPO) please visit their Facebook page. Looking for a way to help a local charity and exercise at the same time? If so, come out to support the Chip Miller Amyloidosis Foundation for Amyloidosis research and awareness at the Hugh Claus Memorial 5K Walk/Run on Sept 23, 2018. To register online, please visit the Chip Miller event page. 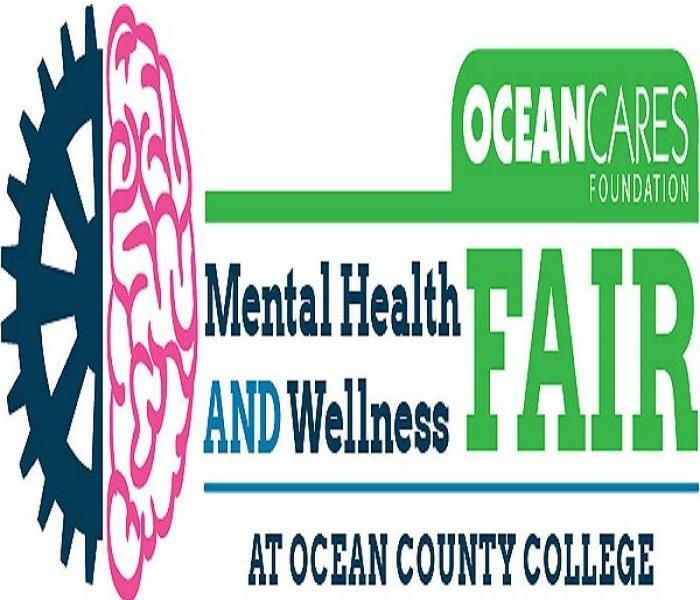 Thursday, May 10, 2018 from 10am-4pm rain or shine at Ocean County College Campus (Main Campus, Parking Lot 2, College Dr, Toms River, NJ 08754. No registration required, event is free and open to the public. Vendors, yoga sessions, pet therapy and more will be part of the fair. May is Mental Health Awareness Month so we invite you to celebrate with us as a community to explore all the pieces of the puzzle: Mental, Physical and Spiritual for Holistic Health. Each year, millions of Americans face the reality of living with a mental health condition, as 1 in 4 U.S. adults will experience a mental health condition in their lifetime. However, everyone is affected or impacted by mental illness through family and friends. Sponsorship opportunities are available. Please email Lisa Mulhearn lmulhearn@oceanmhs.org or call her at 732-269-4849 x612. 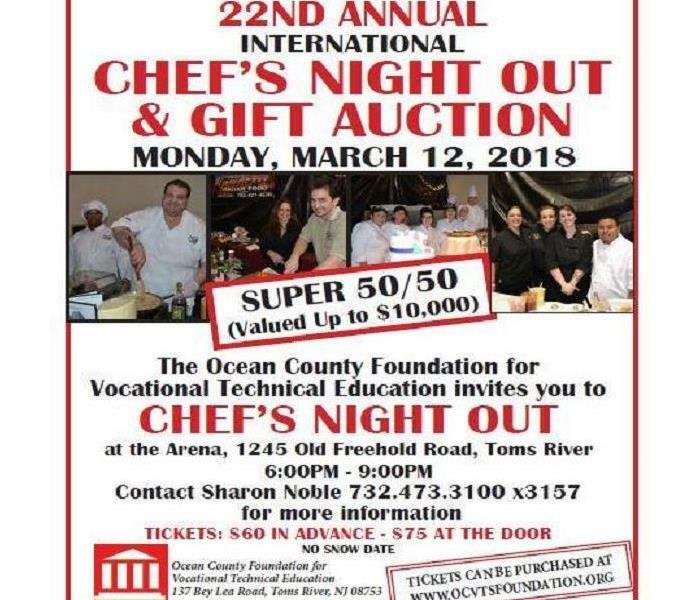 Come out to support Ocean County Foundation for Vocational Technical Education along with SERVPRO of Point Pleasant for their 22nd Annual Chef's Night Out & Gift Auction on Monday, March 12, 2018. Event will be held at the Arena, 1245 Old Freehold, Toms River from 6pm-9pm. Tickets are $60 per person in advance or $75 at the door. Contact Sharon Noble 732-473-3100 extension 3157 for more information or visit their website. 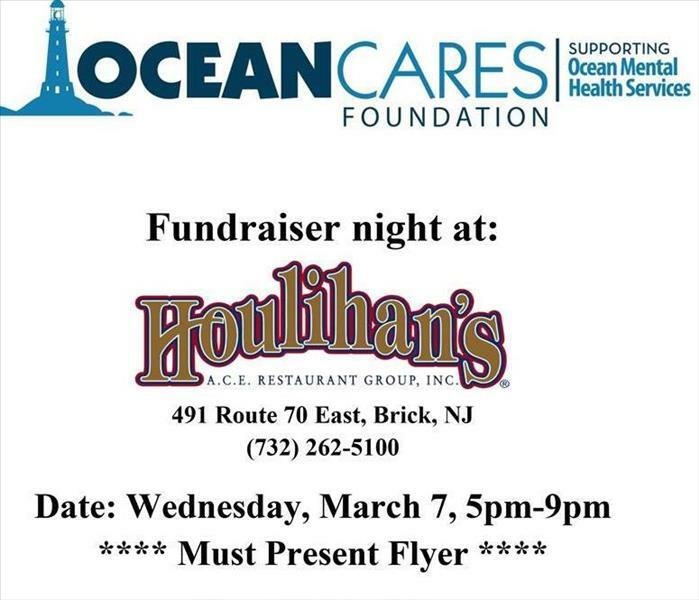 Please join SERVPRO of Point Pleasant along with the OceanCares Foundation in support of Ocean Mental Health Services for a fundraiser at Houlihan's, Brick, NJ on March 7th, 2018 from 5pm-9pm. A portion of the proceeds goes to benefit OceanCares Foundation. No coupons or discounts may be applied to Fundraiser events. No early bird menu. Valid for dine in or take out. 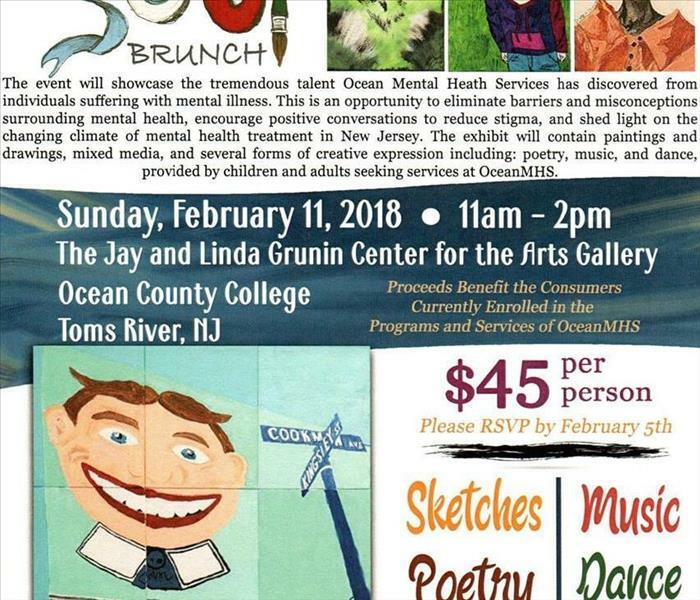 The Second Annual Art & Soul Brunch was held on February 11, 2018 and featured the art work of consumers at Ocean Mental Health Services by the OceanCares Foundation. 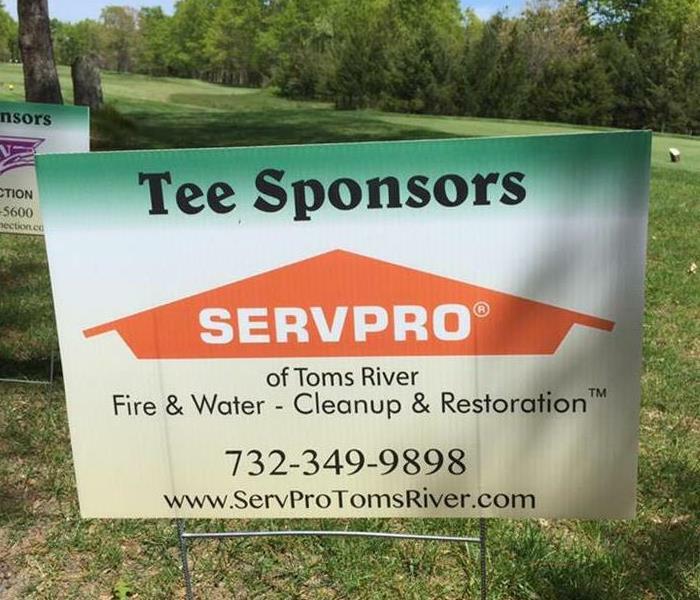 SERVPRO of Point Pleasant was proud to be one of the sponsors for this wonderful charity event. Please visit the OceanCares album on Facebook to see great photos showcasing this event. 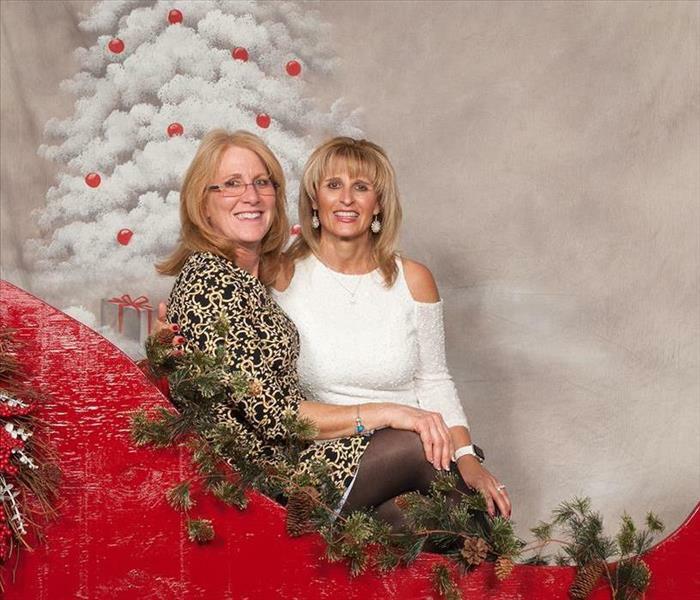 Kathy and Mary enjoyed an evening out at the Brick Chamber's 2017 Winter Wonderland. It was held at P.A.L. (Police Athletic League) in Brick, NJ and enjoyed by all who attended. 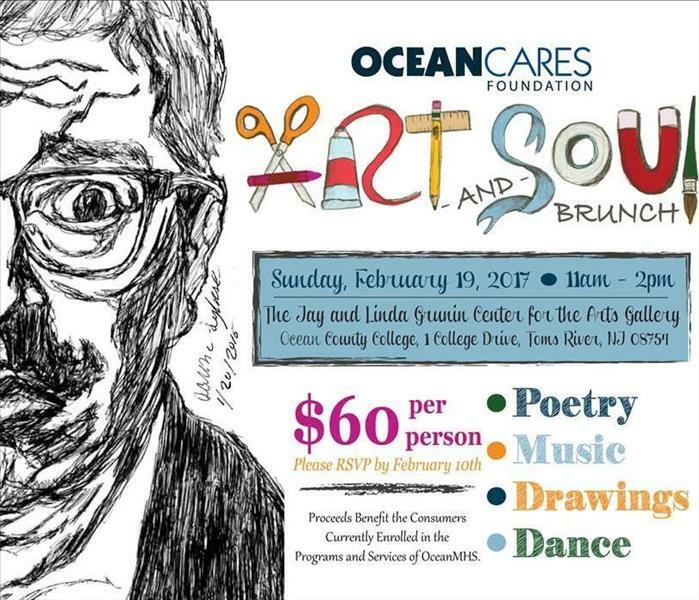 Join SERVPRO of Point Pleasant at the 2nd Annual Art & Soul Brunch to support the OceanCares Foundation and Ocean Mental Health Services on February 11, 2018. 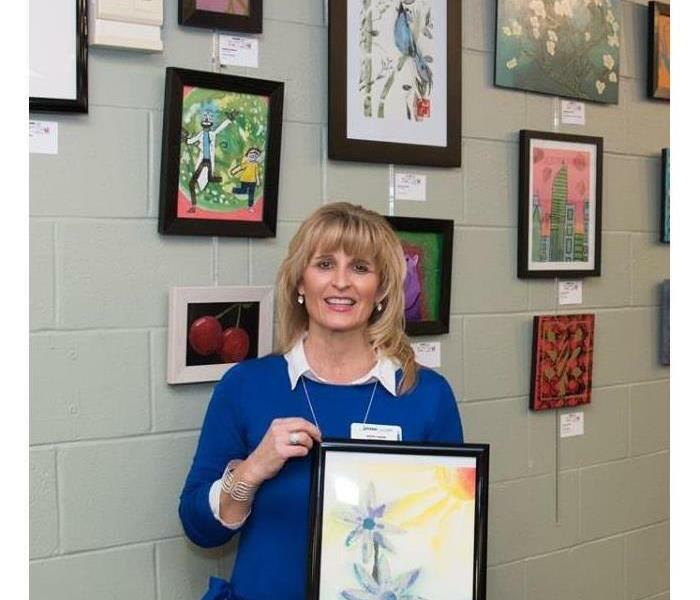 It will be from 11am until 2pm at the Jay and Linda Grunin Center for the Arts Gallery at Ocean County College in Toms River. Tickets are $45 per person and you must RSVP by February 5, 2018. Proceeds will benefit the consumers currently enrolled in the programs and services of Ocean Mental Health Services. To register please visit OceanMHS. 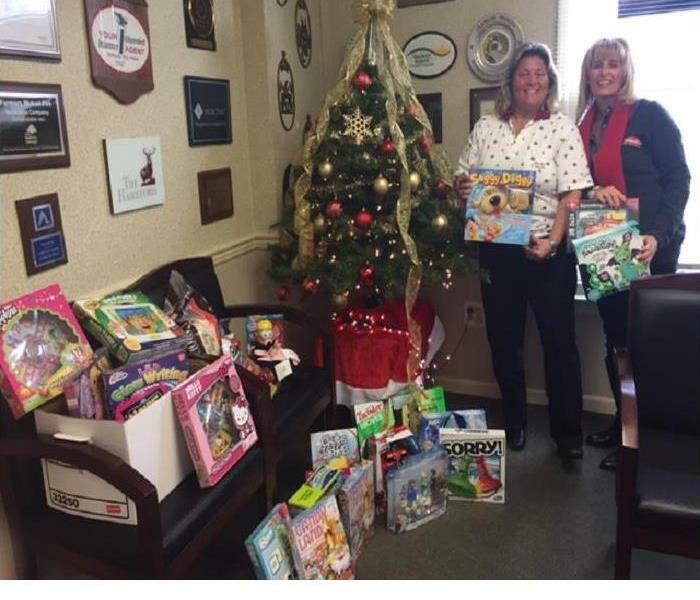 A special thank you to Lisa Caputo and staff from Brouwer, Hansen and Izdebski Insurance Associates for their generous donation of toys this holiday season for Ocean Mental Health Services. 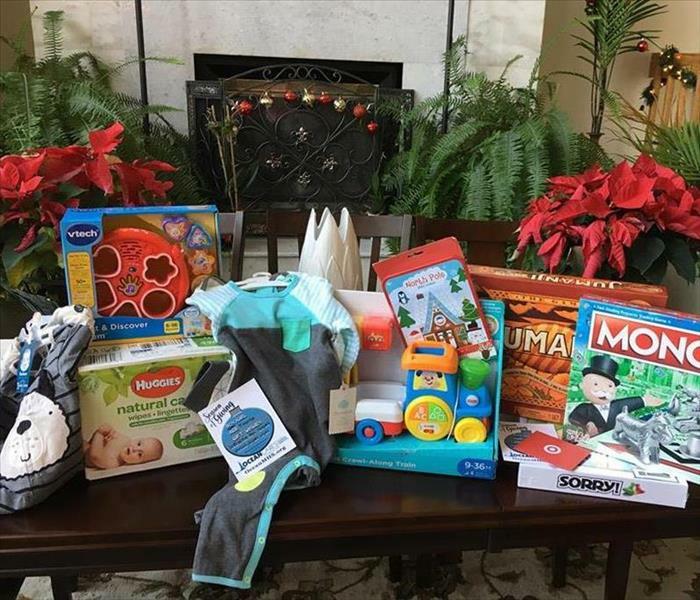 These thoughtful gifts will help bring comfort and joy to the children and families who could use a little extra support this holiday season. A big thank you to The Ocean County Council for Young Children for letting us be a part of their Family Fun and Resource Night at the Hugh J. Boyd Elementary School in Seaside Heights. NJ. This free event included a performance by Mr. Scott the Musicman and an introduction to Zumba by Miss Aurora from Ultimate Dance Studio. 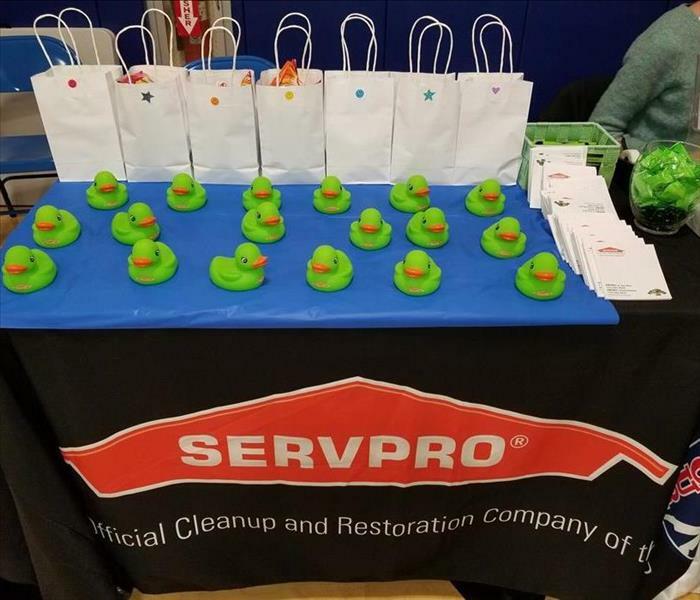 Our SERVPRO of Point Pleasant ducks made a surprise appearance to be part of a game for the kids. They were a huge hit with kids of all ages. 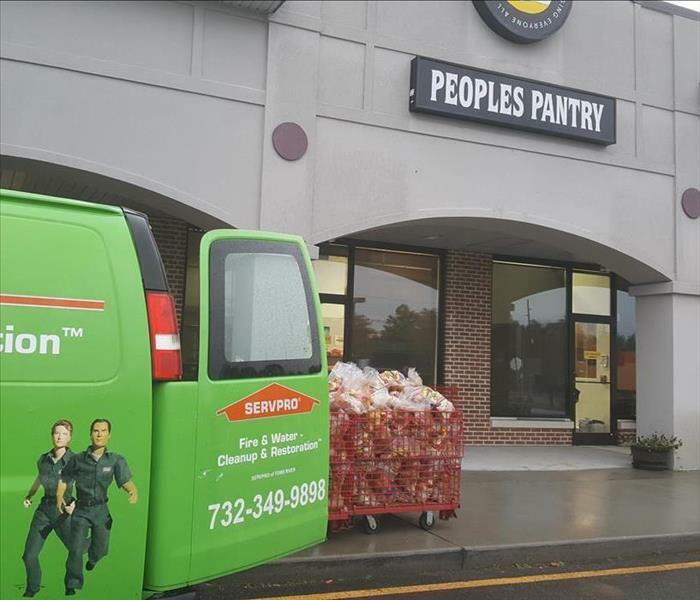 Janice, our office manager here at SERVPRO of Point Pleasant, spent the day volunteering for NJ Farmers Against Hunger. She, along with many other volunteers, packed produce being donated by local farmers for families in need at Thanksgiving. Janice was able to take about 1,600 lbs back for The People's Pantry in Silverton. Thanks Jan for all your hard work! 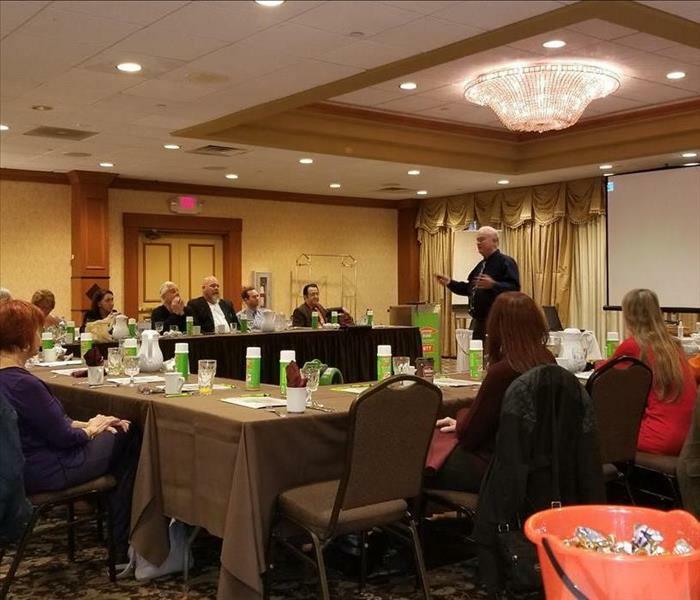 SERVPRO of Point Pleasant hosted a NJ Insurance Continuing Education Credit Course "Water Damage: Risk, Diagnosis, and Mitigation" at the Clarion Hotel in Toms River. Our guest speakers informed and entertained while the audience enjoyed breakfast. Interested in attending our next CE course? Call us for information at 732-202-3001. 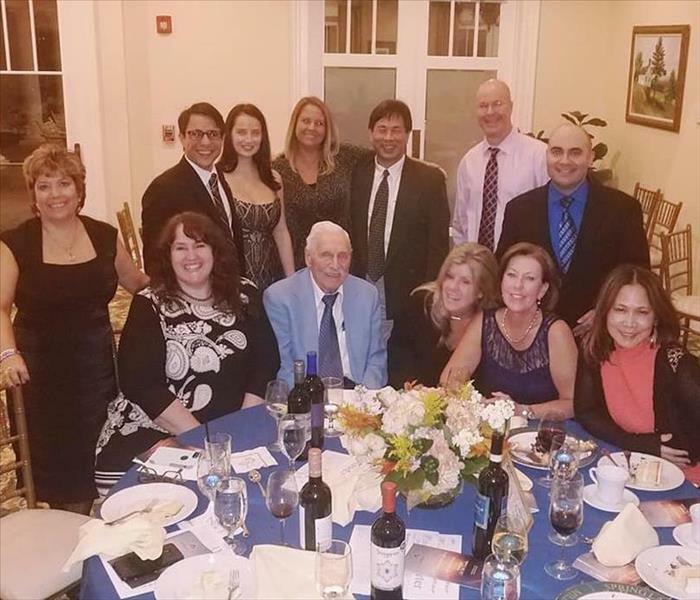 Brick Township Chamber of Commerce had their annual Chamberfest Halloween Spooktacular on October 19, 2017 at Jumping Brook Country Club in Neptune, NJ. It was so much fun seeing everyone out of their work clothes and in costumes. We had delicious food and great music. 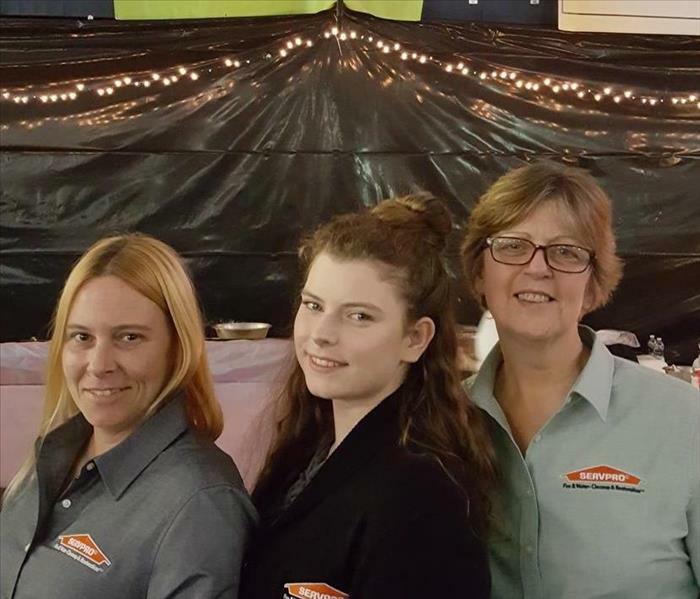 Thanks for letting SERVPRO of Point Pleasant share in this ghoulish evening. 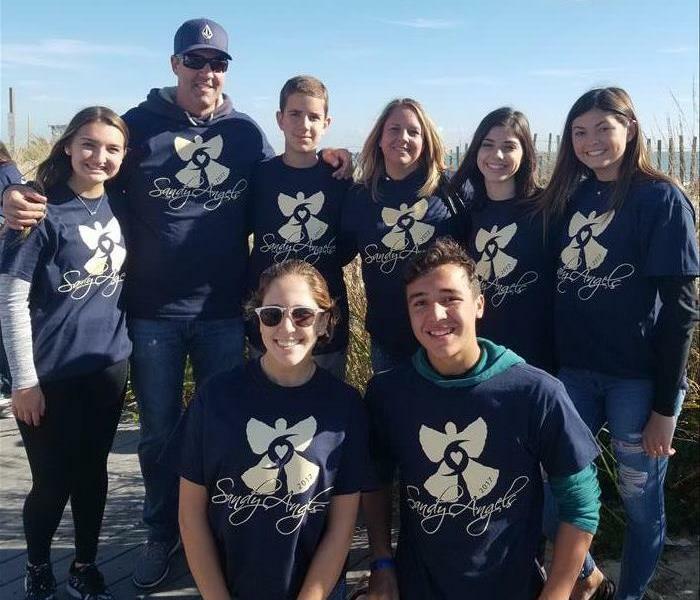 With more than 1,600 participants, organizers of the Sandy Angels charity event in Seaside Park say they believe they broke a record for the most “sand angels” ever being made at one time. In all, 1,609 people were documented to have made sand angels, which conceivably would break the Michigan record of 1,387. The event also raised over $40,000 for hurricane victims, locally and in the Caribbean. A large portion of the proceeds will be donated to the Ocean County Long Term Recovery Group, but given recent events, organizers said they would send donations to the Salvation Army in areas affected by hurricanes Irma and Maria. OceanFirst and New Jersey Natural Gas matched donations offered by participants. Make Angels. Make History. Make Sandy Angels. Join us as we commemorate the 5th Anniversary of Superstorm Sandy and stand in solidarity with those recently impacted by Hurricane Harvey & Hurricane Irma. 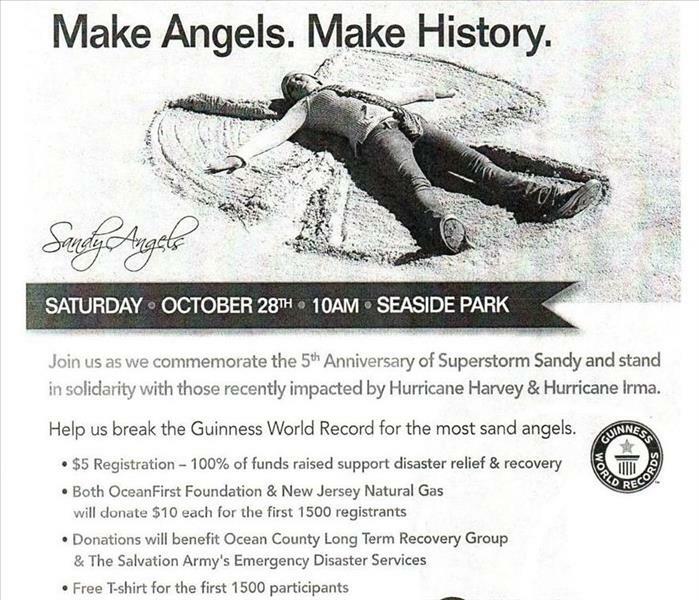 Help us break the Guinness World Record for the most sand angels. For details & to register, visit SandyAngels. 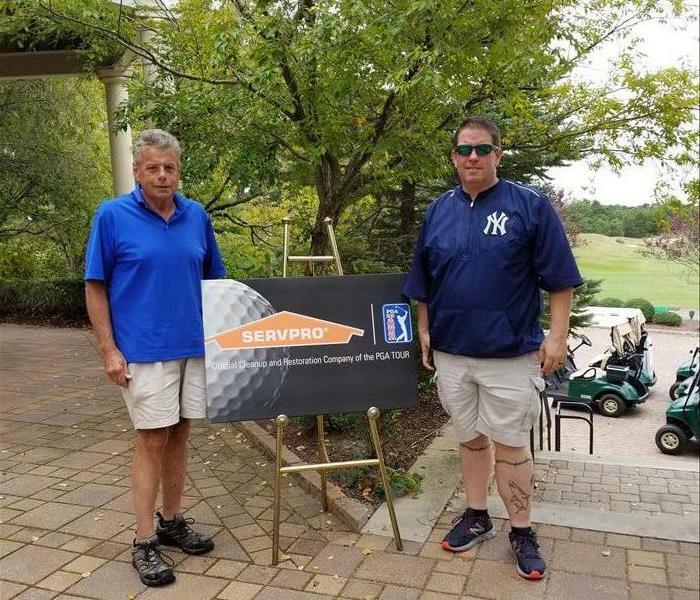 SERVPRO of Point Pleasant's owner Michael Reilly and Assistant General Manager John Herrick enjoyed a fun day of golf with other New Jersey SERVPRO owners and employees at the Sea Oaks Country Club in Little Egg Harbor. 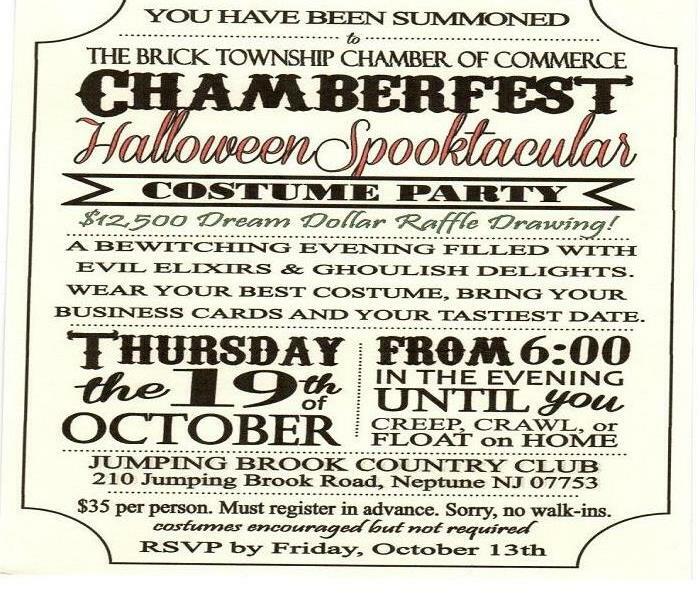 Come join SERVPRO of Point Pleasant for a spooktacular evening presented by the Brick Township Chamber of Commerce Chamberfest Halloween Spooktacular Costume Party. Wrangle Brook Community Garden had their 1st Annual Garden Party Fundraiser on August 6th 2017. This event showcased a sampling of recipes with our garden grown fruits, vegetables and herbs. While tasting the food, guests were able to stroll around the garden while listening to music and got to see the large garden area dedicated to growing food for our local food pantry by the wonderful volunteers. 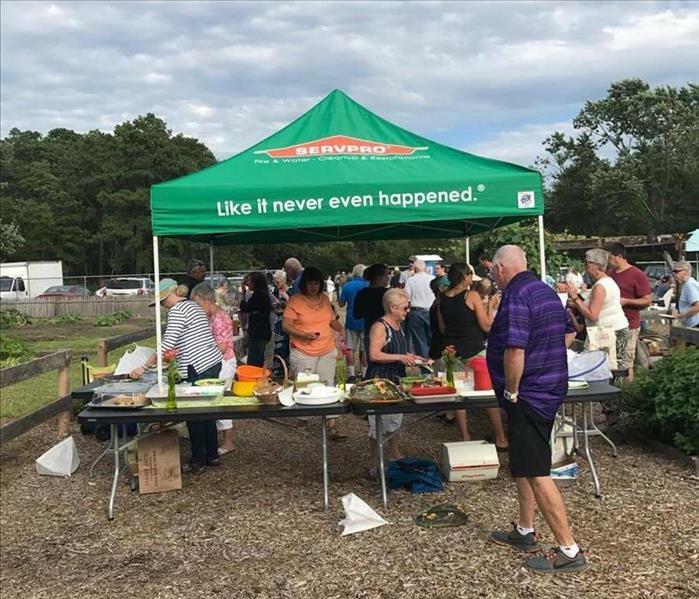 Thank you to Wrangle Brook Community Garden for letting SERVPRO of Point Pleasant be part of this special evening. 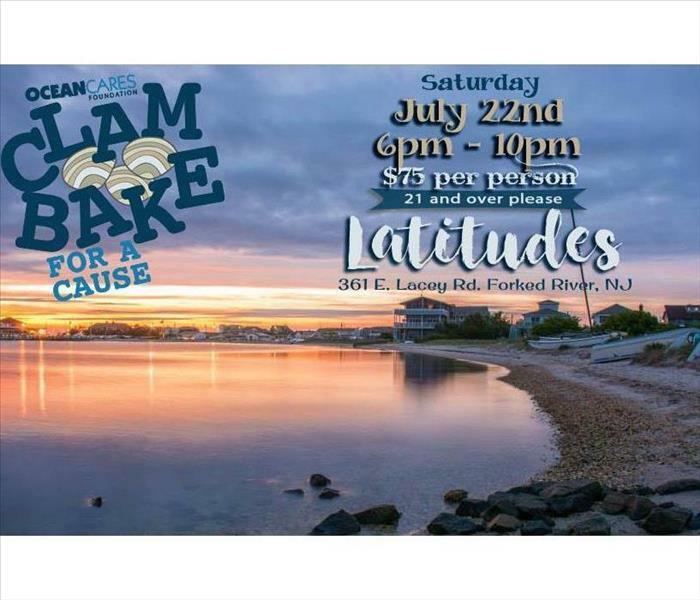 We had a great time at the OceanCares Foundation's Clambake for a Cause on July 22, 2017 at Latitudes in Forked River. 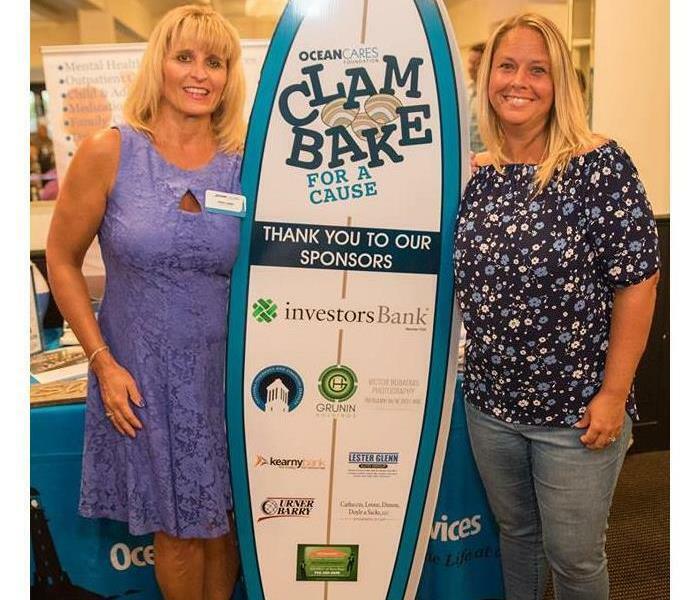 All proceeds from this evening's clambake benefit Ocean Mental Health Services. A big thank you to all the sponsors, attendees and volunteers! We appreciate your support! Location: Latitudes on the River, 361 E. Lacey Rd. Forked River, NJ. Sponsorship Opportunities Available please contact LMulhearn@oceanmhs.org for more information. For more information on the OceanCares Foundation please visit OceanCares. 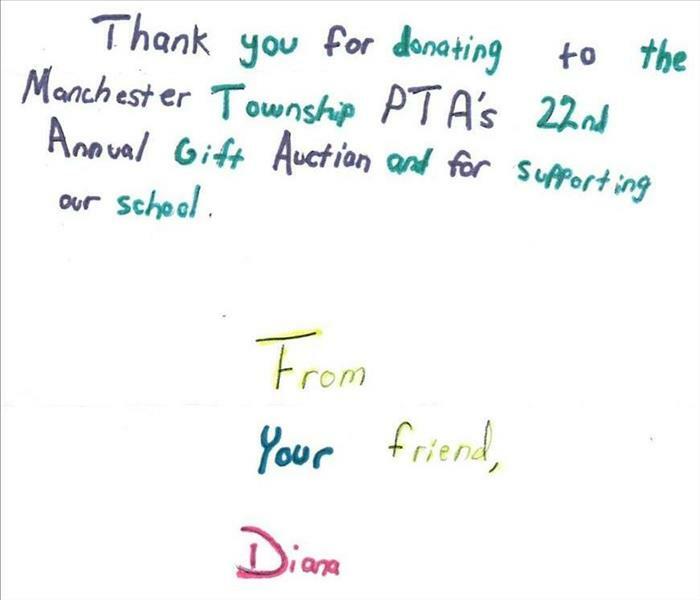 SERVPRO of Point Pleasant was proud to support the Manchester Township PTA's 22nd Annual Gift Auction. It was a fun evening out that raised money for a great cause. SERVPRO of Point Pleasant is proud to be a sponsor for the OceanCares Foundation Business After Hours Backyard Bash on May 18th, 2017 to benefit Ocean Mental Health Services. 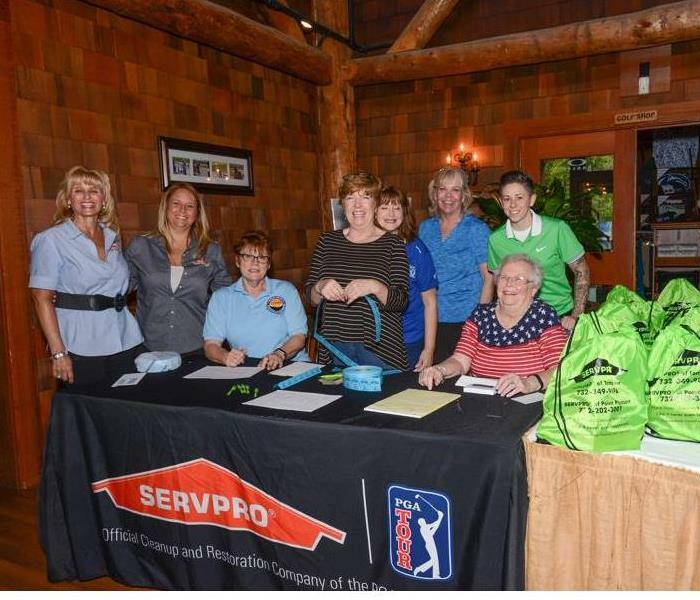 SERVPRO of Point Pleasant is proud to be a member of the Ocean County Business Association and a sponsor for the Annual Marty Aronow CAREing for Children Golf Classic 2017. 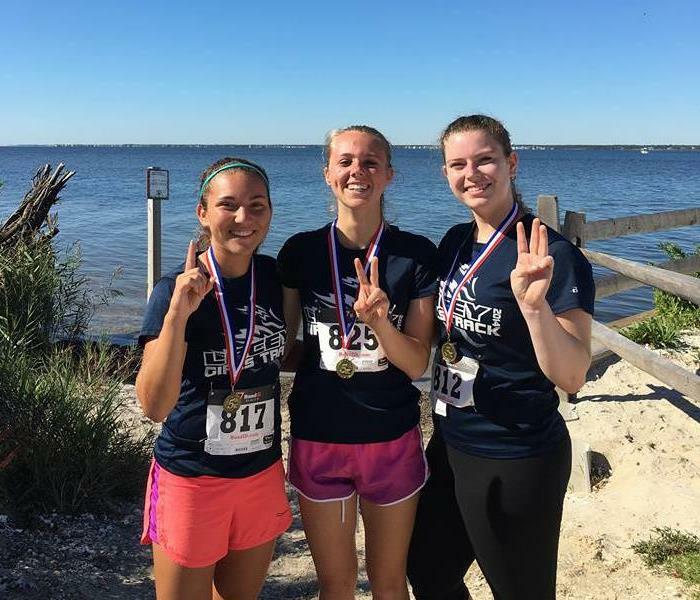 Congratulations to our girls who ran in the Hugh Claus Memorial 5K for SERVPRO of Point Pleasant. All proceeds benefited the Chip Miller Amyloidosis Foundation. For more information on Amyloidosis please visit www.chipmiller.org. 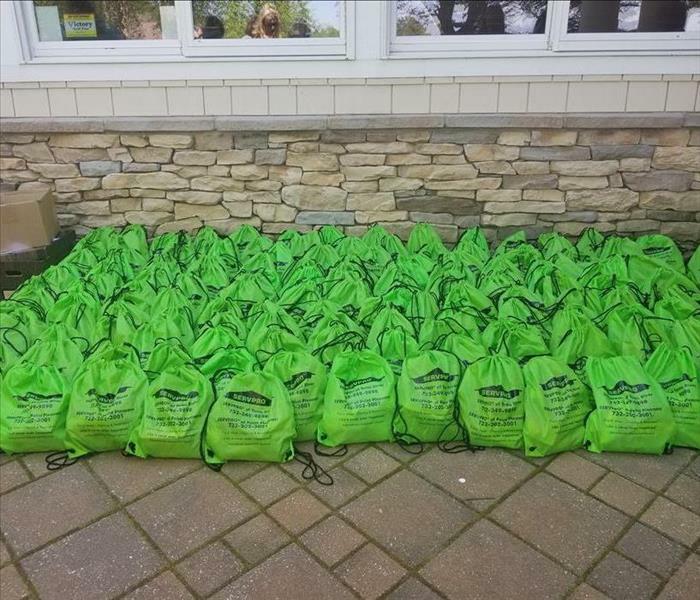 SERVPRO of Point Pleasant is proud to be a sponsor of the Hugh Claus Memorial 5K Walk/Run and 1 Mile Family Fun Run. 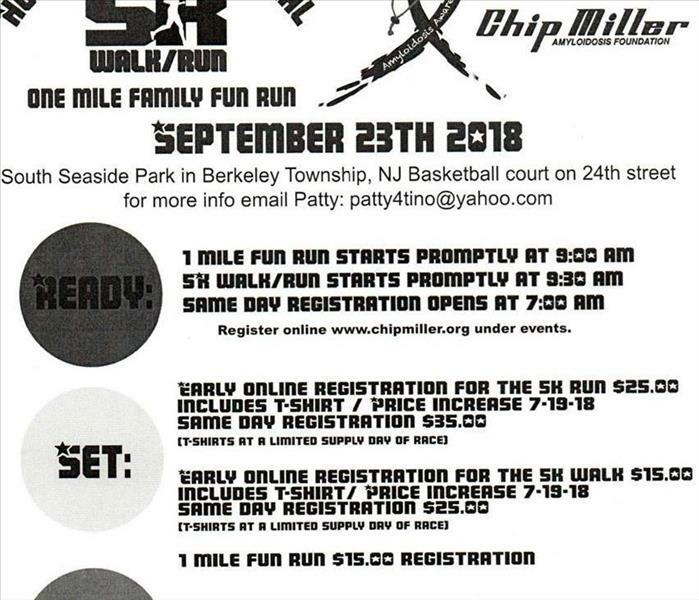 For online registration please visit www.chipmiller.org. For a complete list of participating restaurants please visit ocvtschefsnightoutrestaurants. 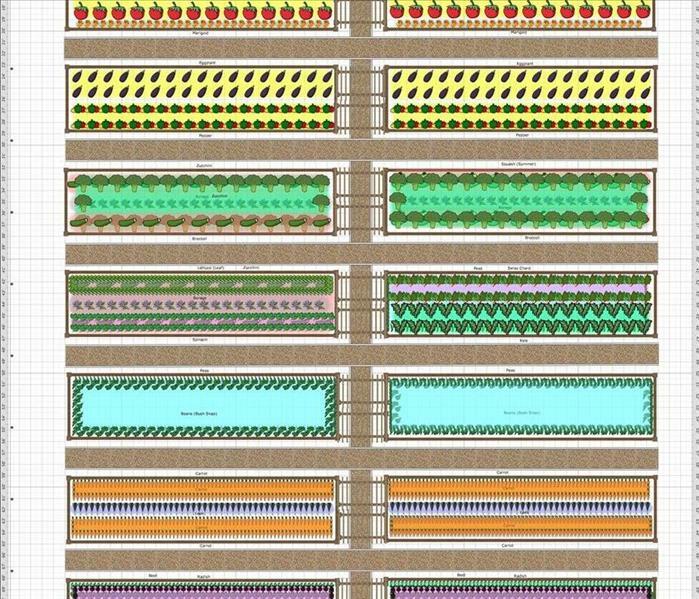 These are the garden plans for the 2017 Wrangle Brook Community Garden in Berkeley Township. The food collected from these beds will be maintained by the garden's volunteers and donated to The People's Pantry. If interested in volunteering or for more information please visit WrangleBrookCommunityGardenFacebook or call them at (646) 748-1524. 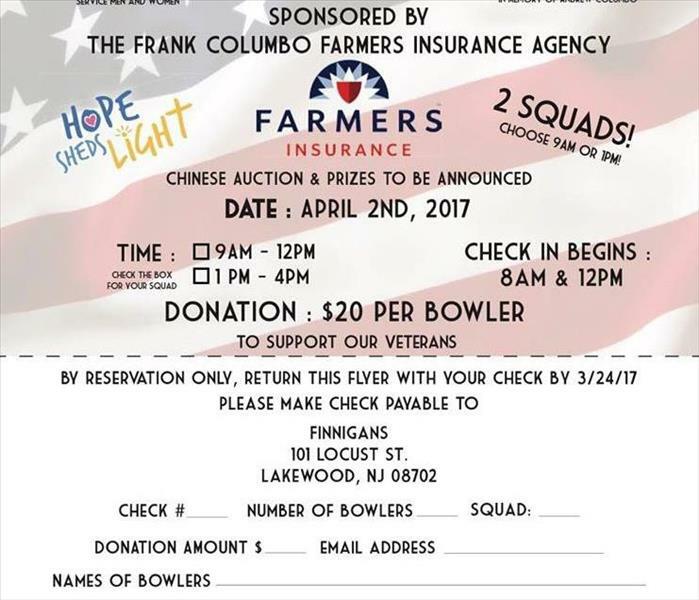 Charity Bowling Event Pro/am 9 pin no tap bowling tournament to support our veterans on April 2nd, 2017 at Finnigans, 101 Locust St, Lakewood, NJ. Please visit charity-bowling-event for details. 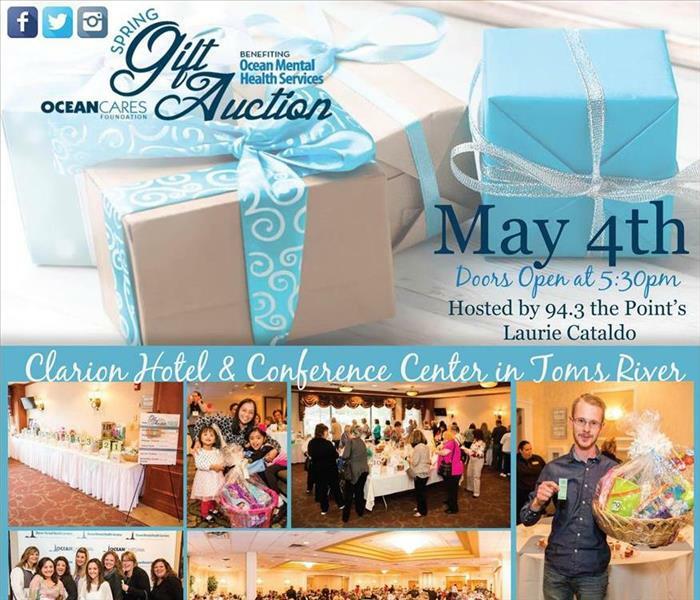 Please join SERVPRO of Point Pleasant May 4, 2017 for OceanCares Foundation’s Spring Gift Auction. Doors open at 5:30 pm at the Clarion in Toms River, NJ. Ticket price is $35. and includes buffet dinner, entry into door prize raffle and a sheet of tier 1 tickets. All proceeds benefit OceanMHS and their services and programs. Please visit http://oceanmhs to purchase tickets. Only 250 seats available.